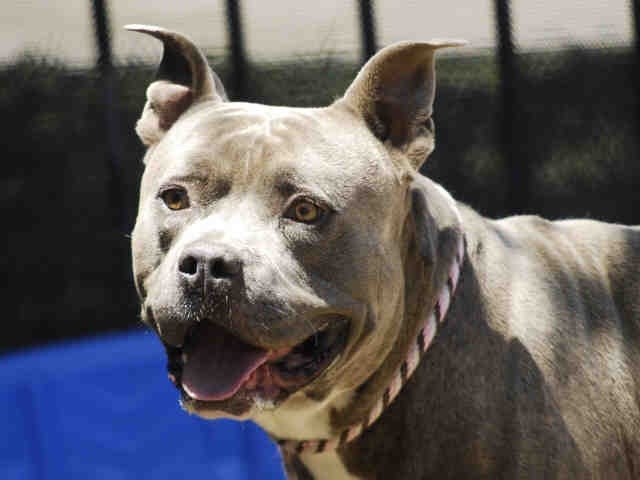 Mexvell Dog Leash is a Durable Leash! A real Must-Buy! 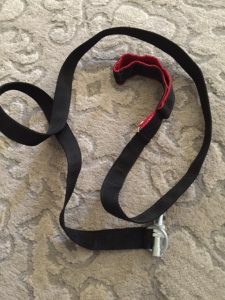 The Mexvell Dog Leash definitely is a heavy duty, strong and durable leash! I also like that it is a good length and not really short. 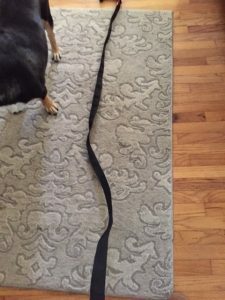 I think that this leash is well-made and will last a long time. I am quite pleased and highly recommend to others with medium or large sized dogs. I don’t think that this one will break! Self Disclosure: I received a heavily discounted product in exchange for an unbiased review. 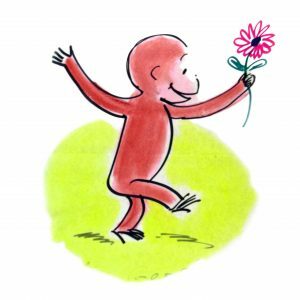 In celebration of the world’s most beloved monkey, who turns seventy-five years old this year, filmmaker Ema Ryan Yamazaki announces the first ever mixed-­media documentary about Curious George. Monkey Business delves into the extraordinary lives of Hans and Margret Rey, the authors of the beloved Curious George children’s books. The Reys were of German­-Jewish descent and narrowly escaped the Nazis on makeshift bicycles they rode across Europe, carrying the yet-­to-­be­-published Curious George manuscript with them. the University of Southern Mississippi. Through a unique and Rey ­inspired technique of animation, as well as archival photographs, the documentary tells the story of the couple’s lives, the birth of George and how the well-­loved children’s book character almost didn’t come to fruition. Houghton Mifflin Harcourt and Universal hold the publishing and merchandising rights to the literary and cultural icon, but it is Yamazaki who has been entrusted with documenting this inspiring story of perseverance, adventure, family and what it means to be a world citizen. Monkey Business: The Curious Adventures of George’s Creators is Yamazaki’s directorial debut, after amassing an impressive editing credit list including collaborations with seasoned storyteller, Sam Pollard (When The Levees Broke). Marc Levin (Chicagoland) is on board as Executive Producer. Yamazaki, who claims Japan, the UK and New York as three unique homes, was inspired by the Rey’s journey and philosophy of living. 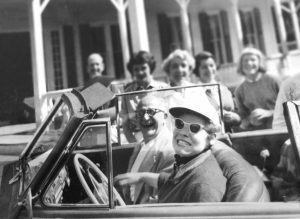 She felt a kinship with the married authors of German­-Jewish descent who were also multinationals having made homes in Brazil, Paris and ultimately New York City. With immigration and refugee ­crises at the center of current and urgent international debate, Monkey Business reminds us that we are all world ­citizens, searching for and deserving of a home. Raised in Japan and England and currently based in New York, Ema has always loved telling stories ­ first as a dancer, and now as a filmmaker. She has directed documentaries such as MONK BY BLOOD and NEITHER HERE NOR THERE that have been seen around the world. As an editor, Ema’s work has screened on HBO, PBS, CNN at Sundance Film Festival, Toronto Film Festival, Tribeca Film Festival, among others. In his 30+ years as an independent filmmaker, Marc has won the Grand Jury Prize at the Sundance Film Festival, the Camera D’Or at Cannes, National Emmys and du Pont ­Columbia Awards. His work includes SLAM, HEIR TO AN EXECUTION, and the BRICK CITY TV­series. i , i t of animators around the world. Grummond Children’s Literature Collection, University of Southern Mississippi libraries. Hans & Margret Rey, Photo Cred Penny Stearns Palmer. Self Disclosure: No monetary compensation was received. 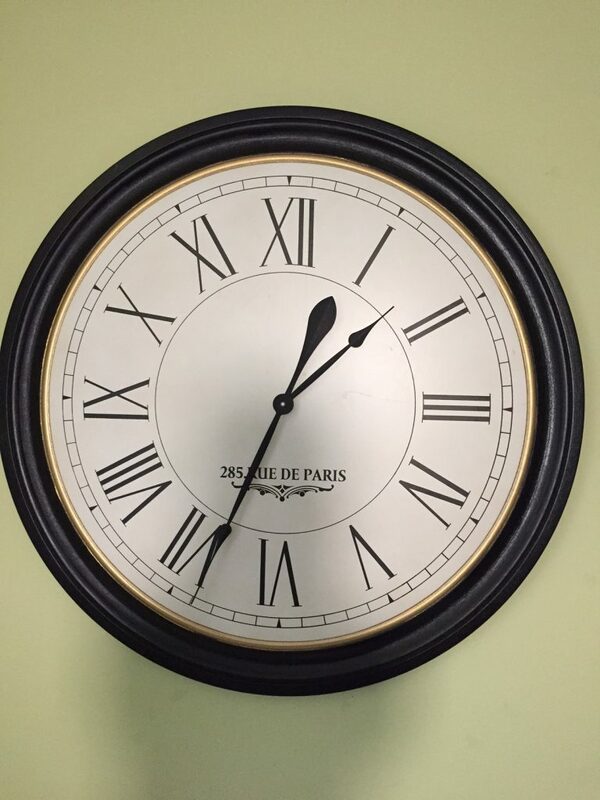 Infinity Instruments Rue de Paris 31″ Clock is a Beautiful Clock! This one will add style to your wall! This clock is big & beautiful! I knew that it would be big but I am still amazed at exactly how big it is! It looks great on my living room wall but I think that this would look great in a variety of different rooms. It may be the biggest clock that I have ever seen! I highly recommend! It is stylish and made very well. I love how it is super easy to read! I was also impressed at how well it was packaged for shipping. You can purchase on Amazon.com by going here. Kids Suncatcher Craft A Fun Epsom Salt Craft! Looking for a fun craft to do indoors to stay cool this Summer? If you aren’t near water, staying inside may be a good idea! Here’s a fun craft! This one is also a great one to do on a rainy day this coming up school year! Self Disclosure: I receiver a sample of Epsom Salt to facilitate this post. We tried this one out and love how fun and easy it is! Credit: Epsom Salt. DTLA’s iconic Union Station has launched its first-ever summer entertainment programs that include unique events, thought-provoking cultural exhibits, and cutting edge performances, free to the public throughout the summer season. On Saturday, July 30, Live Nation’s Ones To Watch Summer Concert Series will return to the station’s South Patio Garden with free live performances from emerging artists and popular DJs from 7:00 p.m. to 10:00 p.m. every Saturday night through September 3. On Saturday, July 30, Live Nation’s Ones To Watch & KROQ Locals Only Presents Summer Concerts at Union Station with emerging artists Kacy Hill, Harriet, Pr0files and DJ Nick Lengperforming live. Additionally, some of the city’s most popular food trucks will be on-site along with other local creative culinary concepts. Live Nation’s Ones To Watch program is dedicated to showcasing today’s most talented new artists. Additional concert details and the line-up of performers are available at unionstationla.com. Built in 1939, Union Station is the largest railroad passenger terminal in the Western United States. Placed on the National Register of Historic Places in 1980, the station’s signature Mission Moderne style makes it one of L.A.’s architectural gems. Today, the station has evolved into a vibrant transportation center serving 75,000 passengers daily. Union Station is currently in the first phase of a Master Plan that will enable it to better handle the growing number of transit riders, accommodate high-speed rail and serve as one of L.A.’s premier public spaces while protecting the historic core of the station. For more information, visit unionstationla.com. Connect with Union Station on Twittter, Facebook and Instagram. Baffle “Yoga Today, Yoga Tomorrow” Women’s Tank is a Must-Buy this Summer! Looking for a lightweight tank top that will keep you cool this Summer? 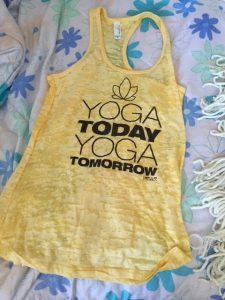 The Baffle “Yoga Today, Yoga Tomorrow” Women’s Tank is a new favorite of mine! I love the color and it is soft and lightweight. Great to wear to yoga or to the beach! It is also available in other colors but I selected the yellow one. I may just have to get one in another color! Self Disclosure: I received this product heavily discounted or free in exchange for an unbiased review. Back to School with a2 Milk®! Yes, Summer is here but the school year will be here before we know it! There are so many Milk choices today! But, can you guess which one is my favorite? 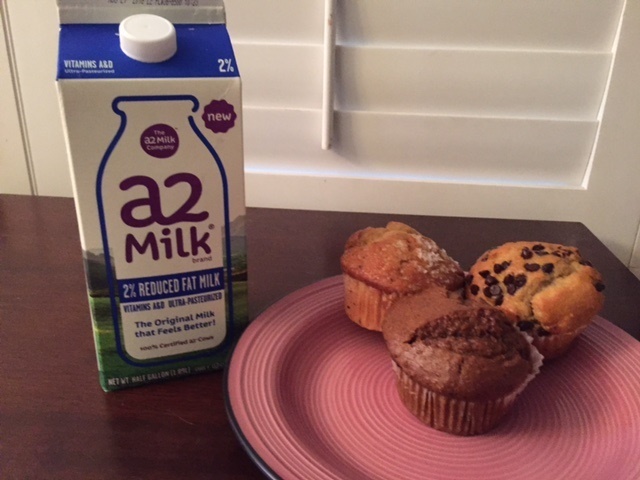 a2 Milk® is a hit with my family for this upcoming school year! There are so many different alternatives to milk such as soy, almond and coconut milk. Although, I am fine with the taste of coconut milk, I really don’t like to the taste of almond milk. What I like about a2 Milk® is that it is real milk! My family members who experience discomfort when they drink regular milk do not experience this discomfort with a2 Milk®. An independent study showed 1 in 4 Americans have discomfort after drinking milk; yet only 5-7% of the population has been clinically diagnosed with a lactose intolerance medical condition. a2 Milk® is a great choice for those who have not been diagnosed with a lactose intolerance medical condition. I am also quite impressed that a2 Milk® contains approximately 6x the amount of calcium as soy beverages, approximately 8x the protein of almond beverages and approximately 6x the potassium levels of rice beverages. This makes a2 Milk® a great choice for the whole family! Back-to-school time means morning cereal and milk with afternoon snacks like milk and cookies or muffins.What better idea than to pair cookies or muffins with a2 Milk®? This is a much more nutritious idea than sweet juice drinks or soda! a2 Milk® is available in half gallon cartons and retails for $4.49. It is available in Whole Milk, Reduced Fat 2%, Low fat 1 % and Fat-Free. I tried the Reduced fat 2% and it’s my favorite! Now, that I know it has more calcium than soy milk… a2 Milk® will be a must-have in our house this upcoming school year! a2 Milk® can be found nationally. You can use the store locator. 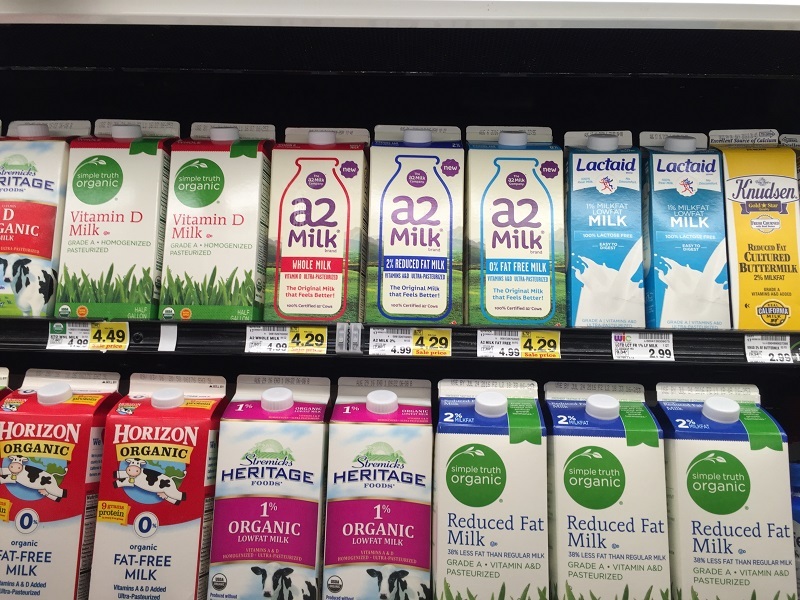 a2 Milk® is available throughout California in Whole Foods, Ralph’s, Sprouts, Gelson’s and many more store locations. Thanks to the a2 Milk® Company™, my family can now drink milk and not experience any discomfort. Find them on Facebook and Twitter!